WHALE sharks – one of WA’s most iconic creatures – are being slaughtered and sold in a backstreet Hong Kong shark-fin market. The fins of the gentle giants, the same species that delights snorkellers off Ningaloo Reef every autumn, are sold for just $300 each and used as window displays in shark-fin shops in Hong Kong’s Sheung Wan market district. The Sunday Times this week joined an investigation inside the Chinese territory to expose the trade in the world’s biggest fish, which is in decline and listed as vulnerable to extinction by the World Conservation Union. Hong Kong’s Sharkfin and Marine Products Association secretary, Charlie Lim, interviewed briefly by The Sunday Times in Sheung Wan before this reporter was thrown out of his office, claimed no whale-shark fins were for sale, despite evidence on the streets. “Australia sent Aboriginal people’s heads to museums,” he said, and therefore the Chinese should be allowed to have whale-shark fins on display in shops. WA whale-shark expert Brad Norman, who swam with the majestic creatures as part of his research less than 24 hours before flying into Hong Kong, led the investigation team and said he was “shocked” by the number of fins on display. 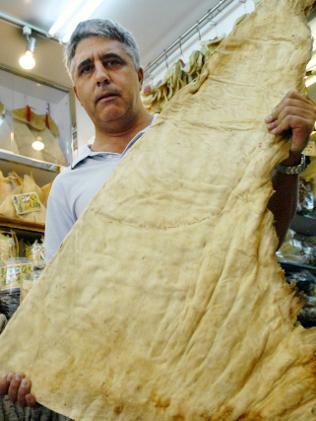 On Hong Kong Island’s Des Voeux Rd – known to locals as “dried seafood street” – Mr Norman and Ms Caruso found tens of thousands of dried shark fins, used in shark-fin soup and sold for up to $40 a bowl. 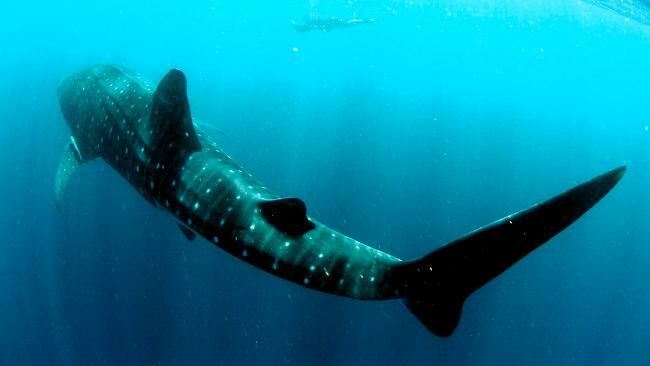 Mr Norman, who has studied Ningaloo’s whale sharks for 16 years, said the fins were most likely harvested in waters off Taiwan, China, Sri Lanka and the Philippines. It was unlikely they were the same sharks that visit Ningaloo, he said. WWF-Hong Kong shark officer Silvy Pun said “tonnes and tonnes” of shark fin landed on the docks every month in Hong Kong – the world’s shark-fin capital. It handled up to 80 per cent of the global trade. Ms Caruso said destroying a whale shark for its fins was “senseless slaughter”. “Panic-stricken, helpless and terrified, they thrash around without fins until they become exhausted and die a slow and painful death,” she said. A spokesman for the Hong Kong Government’s Agriculture, Fisheries and Conservation Department said the sale of whale-shark fins was not illegal and fin shops were doing nothing wrong. “(A) considerable amount of whale-shark fins have been imported legally to Hong Kong and are available in the local market,” the spokesman said.